In today’s world of instant communication, citizens expect government to use electronic services to increase efficiency and reduce costs. While governments are increasingly relying on electronic services, they are still striving to meet public expectations. An example is the Indiana state court system. Indiana state court officials recently announced that, after running pilot projects in Lake and Marion Counties, the courts will begin to move towards statewide online filing (e-filing) of court documents in 2015. According to a recent article on www.indystar.com, over 1.5 million new cases are filed in Indiana each year requiring attorneys to print out the complaint and submit it to the court for filing. Then, the court has to process the complaint and scan it into the court’s case/document management system. The ability of e-filing to simplify the process by electronically transmitting the complaint directly from the attorney’s computer to the court’s case management system, with minimal or no human intervention, can significantly improve the courts efficiency. The results for both the court and the attorney are a win-win with both experiencing savings in time and money. With the anticipated savings, one would expect that most state courts would have moved to e-filing years ago. 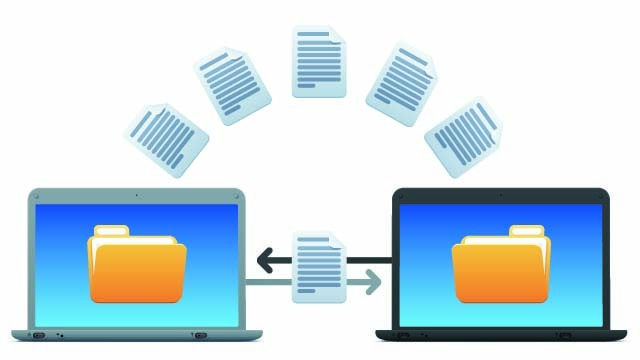 However, various constraints, such as lack of funds, questions relating to the validity of electronic signatures, antiquated court rules and incompatible computer systems, have impeded the spread of electronic filing. Today, while many states provide for online court filings in a limited number of counties, less than half the states provide for online filings on a state-wide basis. Even states that have adopted e-filing on a statewide basis, face an additional roadblock in making their courts fully electronic. Constitutional concerns about due process are impeding efforts to serve the summons and complaint (called “service in the first instance”) electronically (e-service). While one increasingly reads about courts allowing service in the first instance by e-mail or on Facebook in unusual circumstances, the typical scenario is that the summons and complaint must be printed out and served by hand. Some court electronic systems do have provisions for serving answers, motions etc. (“service in the second instance”) using e-service. Typically, the attorneys register with the court thereby allowing the court system to communicate directly with them by e-mail or an XML-based electronic system. As indicated above, the courts have been slow to move to e-service in the first instance. However, private parties and certain segments of government have been moving to encourage e-service by agreeing to be served electronically by prior agreement. A common example is the service agreement on websites. Many of these agreements have provisions for establishing venue and include consent to e-service. In time, the courts, government and interested parties will find a way to overcome the obstacles that are currently hindering the acceptance of e-SOP in the first instance. For now, though, the use of e-SOP is more the exception than the rule.